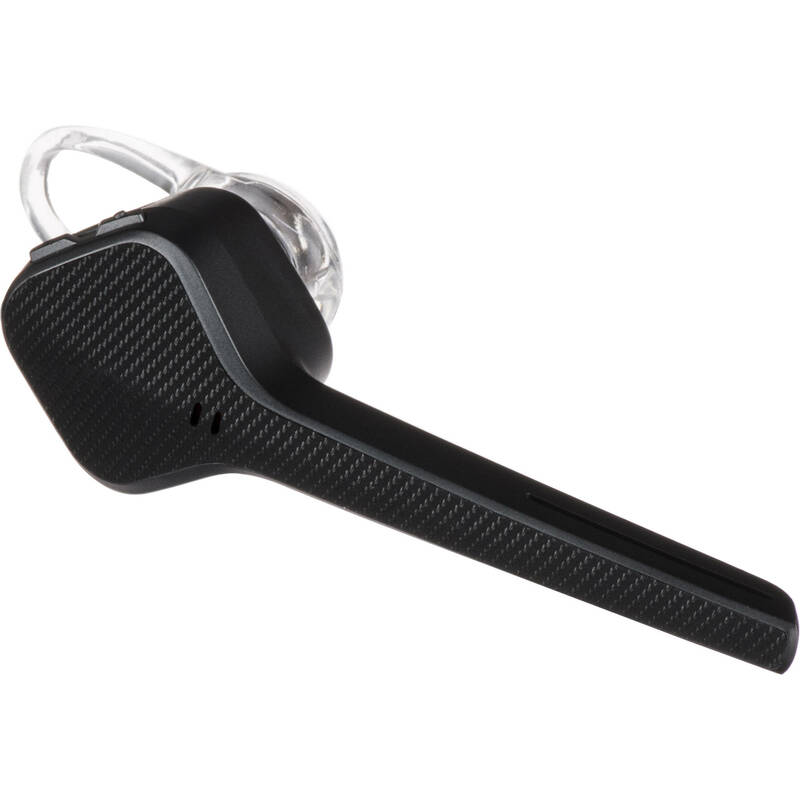 Take a call, stream music, podcasts, or other audio with the diamond black Plantronics Voyager 3200 Bluetooth Earpiece. This earpiece is compatible with iOS and Android smartphones, laptops, and tablets. Bluetooth 4.1 connectivity is intended to provide a strong connection between this earpiece and your device. Furthermore, this earpiece features enhanced wireless freedom with up to 98' of range from supported Bluetooth Class 1 devices. Simply wearing the headset activates the smart sensor technology, which knows to answer calls. Press the dedicated mute button to switch mute functionality on and off. Plus, this earpiece's dynamic mute alert tells you if you're speaking while muted. Moreover, the VPA button allows you to activate Siri, Cortana, or Google Now. The Voyager 3200 earpiece comes with three sizes of silicone eartips, which are designed to ensure a discreet and comfortable fit. Multipoint technology enables you to pair and connect your headset to two different Bluetooth audio devices at once. The voice alerts feature is intended to help you manage calls by announcing the names of incoming calls and waits for you to say "answer" or "ignore." This earpiece features an ergonomic design and dual-durometer eartips that are engineered to provide long-wearing comfort and stability. Box Dimensions (LxWxH) 7.1 x 4.3 x 1.55"